Hatch bemoans “unfortunate politicization” of the Supreme Court confirmation process. 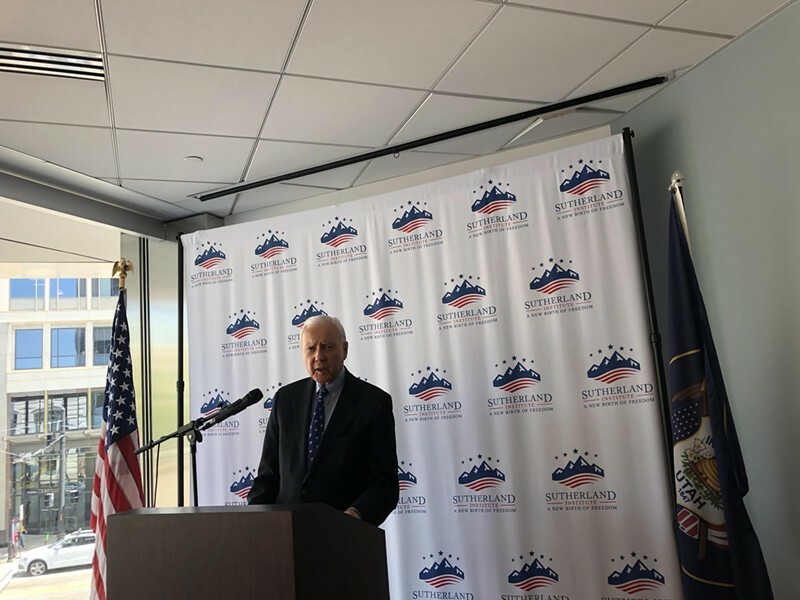 Five months from retirement, outgoing U.S. Sen. Orrin Hatch gave a speech at the Sutherland Institute on Thursday that underlined an important duty he hopes to complete before he leaves office at the beginning of 2019—the confirmation of Brett Kavanaugh to the U.S. Supreme Court. Hatch’s speech followed similar logic, lamenting the “unfortunate politicization” of the confirmation process and the “fishing expedition” of his Democratic colleagues, who demanded “millions and millions and millions of pages of documents” that reflect Kavanaugh’s rulings and his time as White House counsel during the George W. Bush administration. “It was a key position that they wanted to fill before a presidential election, which just wasn’t the right thing to do,” Hatch said. “The best we can do is get people who are honest, capable, knowledgeable, brilliant in this particular case, and just hope for the best,” Hatch said.